From the Greek helein, to kill, bora, food; some species are poisonous (Ranunculaceae). Hellebore. Hardy perennials, often retaining their leaves through the winter, with thick fibrous roots. All flower early in the year and the flowers are long lasting. Most of them have handsome, leathery, divided leaves, sometimes spiny. They are natives of southern Europe and western Asia. Species cultivated H. abchasicus, 1 foot, flowers purplish-green, January to March; vars. coccineus, wine red, venousus, rosy-purple with dark veins. H. argutifolius (syn. H. corsicus), 2-3 feet, apple-green flowers in February and March which persist until mid-summer. H. foetidus, stinking hellebore, 2-3 feet, pale green flowers, the petals tipped purple, February and March, native plant. H. guttatus, feet, white flowers, heavily spotted with crimson inside, January to April, the parent of most spotted hybrids in cultivation. H. lividus, 3 feet, green flowers soon turning brown; doubtfully hardy. H. niger, 1.5 feet; Christmas rose, 1 foot, white, saucer-shaped flowers with a boss of golden-yellow anthers ; vars. Altifolius and macranthus, longer stems. ‘Potters Wheel’ is a fine cultivar. H. x nigricors, (H. niger x H. corsicus), 1 feet, pale green, February, hybrid. H. odorus, fragrant hellebore, 14 feet, greenish-yellow flowers with faint elderflower scent, March. H. orientalis, Lenten rose, 2 feet, variable flowers, purple, pink or almost black and often spotted with other shades, February to May. ‘Albion Otto is a white, purple-spotted cultivar. H. torquatus, feet, flowers purple inside and blue-purple outside, February to March, rather shy-flowering, leaves die down in summer. H. viridis. green hellebore, 1-14 feet, pale green flowers, February. 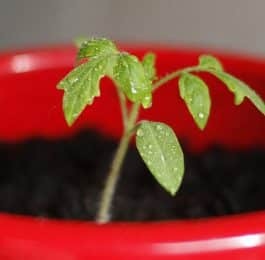 Cultivation A well-drained, rich soil is best and although a shaded position is usually recommended, this is not essential, although partial shade is preferable to full sun. Once established, the plants like to be left undisturbed, although they quickly settle down if they are moved in winter with plenty of soil round their roots. 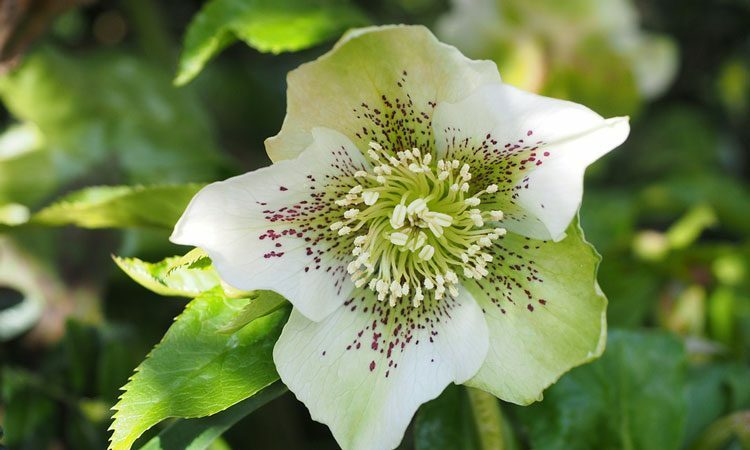 In December, protect the flowers of the Christmas rose by a cloche or by mulching with peat to prevent the short-stemmed flowers from being splashed by soil. Plant in October or November, or March, 15 inches apart in groups, preparing the site well and incorporating some manure. Plants can be forced in pots by lifting and potting up in October and maintaining a temperature of 40-50°F (4-10°C). Replant out of doors in April. 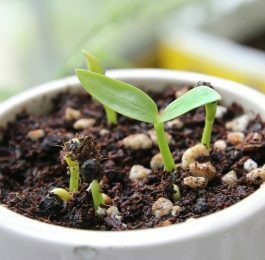 Propagate from seed or by division of roots after flowering.